Being a landlord can be both a blessing and a curse. When your tenant pays their rent on time and abides by the guidelines that you have set for them, it can be a great way to make extra money. But, it can quickly turn into a headache if your tenant fails to pay the rent or you find that they are damaging the property in some way. You may be wondering what your options are as a landlord when it comes to potential eviction when the tenant will not move out on their own? Your first step should be to contact an experienced Minnesota real estate attorney and discuss all your potential options. With a strong success record, Charles Kallemeyn, of Kallemeyn & Kallemeyn, is a real estate attorney with extensive experience with all types of eviction cases in the Minneapolis-St Paul area. He can help move you through a successful eviction process quickly and has a proven track record of success. A copy of the notice to terminate tenancy (this is only needed in some cases and we will let you know if it is applicable for you). The rest of the process is generally managed by our team. We will complete all additional necessary legal documents to begin the formal eviction process, we will file this with the court and even serve the notice to your tenant on your behalf. Our team is available to you during every step of the process to make it easy and smooth for you. We understand that this can be a bit uncomfortable at times, so we try to manage some of the communication with your tenant so that you do not have to. Kallemeyn & Kallemeyn are committed to helping clients solve difficult problems, We will devote all the time needed to ensure that you and your family are taken care of and that we have helped you achieve the best possible outcome in your case. 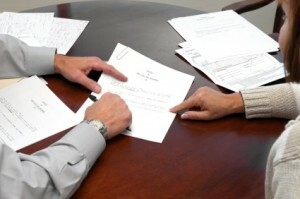 Our firm focuses on family and divorce cases, estate and probate work and real estate lawsuits. We communicate clearly to our clients about the proposed fee structures and outline our plans for your case before we get started so that you have ample time to ask questions, share your concerns and weigh in. Give us a call today at 1-763-427-5131 to find a time to meet our team!